Q&A: What can I do to build bone mass? Question: What can I do to build bone mass? Answer: Bones are the body's support system. So what happens when they become weak? Bones are a living tissue, and they're constantly being broken down and rebuilt. According to the Mayo Clinic, when you're young, your body makes new bone faster than it breaks down old bone, and your bone mass increases. Many people reach their peak bone mass around age 30. After that age, your bones continue to change, but you lose slightly more bone mass than you gain. When this happens, you can develop osteoporosis — a condition that causes bones to become weak and brittle, making you more susceptible to fractures. A number of factors can affect bone health, including the amount of calcium in your diet, physical activity levels, tobacco and alcohol use, family history, gender, and age. Certain medications also play a role in bone health. For example, people who take steroid medications for long periods of time have a higher risk of developing osteoporosis. Boost calcium consumption. This mineral is essential for proper bone development. Consume calcium-rich foods and beverages such as milk, cheese, yogurt, spinach, and collard greens. Pay attention to vitamin D. Your body needs vitamin D to absorb calcium. Good sources of vitamin D include tuna, egg yolks, and over-the-counter vitamins. Consume less caffeine. Too much caffeine can interfere with your body's ability to absorb calcium. You can enjoy coffee or soda, but drink it in moderation. Quit smoking. Studies have shown a direct relationship between tobacco use and decreased bone density. Avoid excessive drinking. Drinking too much alcohol interferes with the balance of calcium in the body. Exercise regularly. A sedentary lifestyle is considered a risk factor for osteoporosis. Weight-bearing exercises, such as running, walking, and jumping rope, can help keep your bones strong. Know your family history. Family history can be a key indicator of bone health. Those with a parent or grandparent who has or had osteoporosis are more likely to develop it. 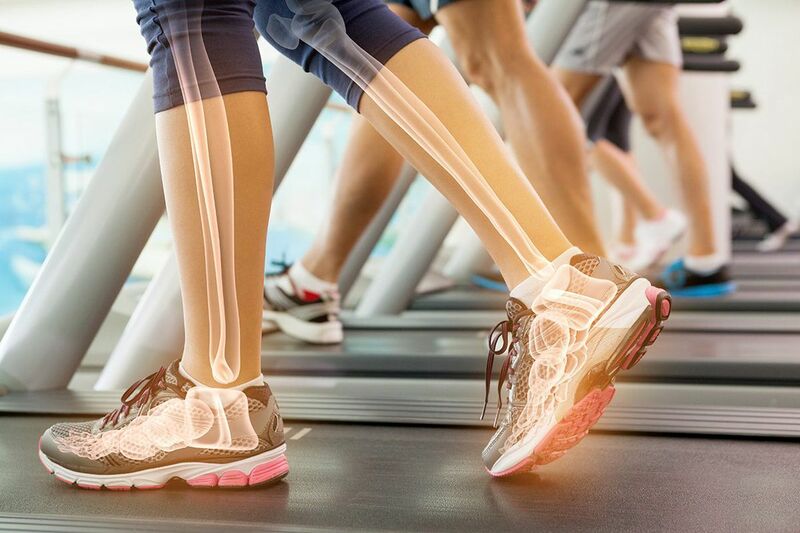 If you are concerned about your bone health or your risk factors for osteoporosis, speak with your doctor, who might recommend a bone density test to determine your rate of bone loss. Helen C. Thorpe, M.D., is the medical director of Primary Care Services at Mercy Physician Network.